Tomato, Apple, Apricot, Plum, Cherry, Pear, Peach, Raspberry, Redcurrant and Gooseberry. 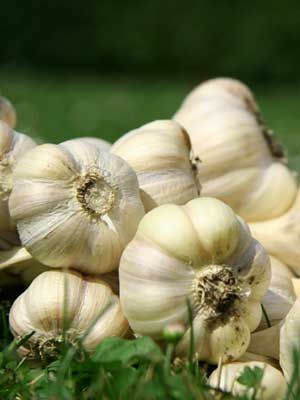 Best grown from cloves, planted direct into holes, pointed end up in late autumn or late winter. Dig up bulbs in summer when leaves start to turn yellow. Clean them and let them dry out over a few days before storing.